Most people do not call an Orlando criminal attorney or civil lawyer until they need one. That fact alone can make selecting a lawyer feel like an intimidating process. But it does not have to be. At McShane & McShane Law Firm, P.A. in Orlando, Florida, attorneys Neal T. McShane and Meghan McShane-Davis have more than 40 years of combined experience. We provide professional, compassionate legal support as we aggressively pursue the best possible outcome for our clients. At McShane & McShane Law Firm, P.A. in Orlando, we focus on providing the highest quality legal counsel. We are a small law firm and are dedicated to personally providing our clients with professional, thorough and competent legal representation throughout Central Florida. In fact, our firm was selected by the Central Florida Police Benevolent Association (CFPBA) as a member of their “dream team.” Our highly skilled attorneys, paralegals and staff are committed to producing the best results for our clients. We are a purely referral-based firm, and our clientele base is from “word-of-mouth” only. Personal service – When you contact our office as a potential client, the first people you speak with are our paralegals. Together they have more than 30 years of experience working with Neal T. McShane and Meghan McShane-Davis, and our Office Manager and Florida Registered Paralegal Annette L.S. Root has been named Paralegal of the Year. Once you are a client, you always speak directly with our attorneys. We are easy to reach and welcome the opportunity to answer your questions and discuss your case. You are always treated with respect and receive the individual attention you deserve. We do not have civilian “case managers.” The attorneys at McShane & McShane Law Firm, P.A. manage all their cases. Thorough preparation – At McShane & McShane Law Firm, P.A., being a smaller firm means that we can invest our time and energy into each case. We prepare meticulously, analyzing your legal issue from every angle to determine how best to resolve it. And, while our overall approach to every case is similar, the way we handle your legal matter depends on your needs and goals. Strategic counsel – We focus on attaining our clients’ objectives. While we always provide personal attention and thorough preparation, the way we handle your legal matter depends on your needs and goals. If litigation is the right method to resolve your case, then that is the route we take. However, if you would be better served by negotiating a settlement, we are prepared to do so. This pragmatic approach enables us to help you achieve your goals while protecting your best interests. Our office is located across from Lake Highland Prep and just blocks from the Courthouse. We are available Monday through Friday from 9 a.m. to 5 p.m., and readily arrange special after-hours or noon-hour appointments by request. 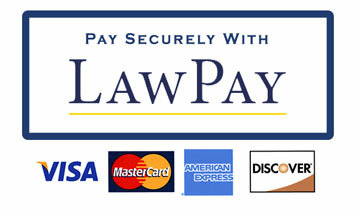 For your convenience, we accept Visa, MasterCard and Discover cards. Knowledge and experience are valuable tools in the practice of law. If you or a family member is facing criminal charges and need a DUI attorney or defense lawyer, or if you are in need of legal counsel for a family law, civil law, media law or contracts issue, trust the seasoned attorneys at McShane & McShane Law Firm, P.A. in Orlando. Call us at 407-648-1500 or contact us online today to discuss your case. There is no charge for your first visit. Se habla español.